The Upper Ross Hotel sits right next to the Ross River and is located just off the Ring Road. Only 25 minutes away from Townsville and the Great Barrier Reef as well as a variety of state and national parks less than 45 minutes away, the Upper Ross Hotel is perfect for visitors wanting to experience all that the North East of Queensland has to offer. Guests can relax escape the North Queensland heat in affordable air conditioned rooms. 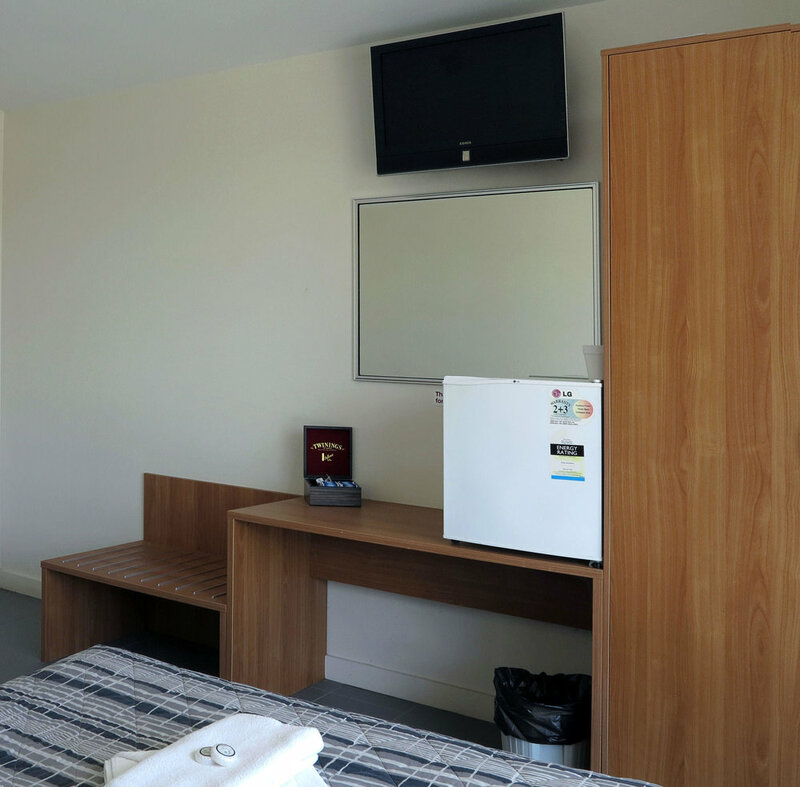 Each room features a TV, bar sized refrigerator and tea and coffee making facilities, as well as access to the shared bathroom and laundry facilities. The hotel itself features a Sports Bar with pool tables and a Bistro open daily for lunch and dinner. If you’re looking for a base in which to explore the great north east of Queensland, the Upper Ross Hotel is the place for you. Please be advised that children under the age of 18 are not allowed to stay in guest rooms. Please note that children under the age of 18 are not allowed in accommodation. Situated less than a 25 minute drive away from the Townsville beach, the Upper Ross hotel is the perfect base for guests wanting to visit the iconic Great Barrier Reef and Magnetic Island as well as all the gems that the inland has to offer. The hotel is conveniently located just off the A1 Ring Road only 20 minutes from Townsville City. Driving from Townsville head south-east on State Route 16 for 5.2km, then turn right onto Oonoonba Road. At the first roundabout turn left onto Fairfield Waters Drive and continue on to Mervyn Crossman Drive. Turn right onto Murray Lyons Crescent and then continue onto William Angliss Drive, then turn left onto Macarthur Drive. Turn right back on to the A1 Bruce Hwy/Ring Road then take the Riverway Drive exit towards Thuringowa Central, the hotel will be on the left. The Townsville Airport is only a 20 minute drive away from the hotel. Turn right on Ingham Road then take the first left onto Duckworth Street. At the first roundabout turn right onto the Bruce Highway for 6.4km then turn left onto the National Highway A1, Shaws Road. After 9.7km take the exit towards Riverway Drive and keep left at the fork. The Upper Ross Hotel will be on the left.